Teaching with TLC: Kids LOVE Resurrection Eggs! Using Resurrection Eggs to teach the Easter story is my favorite Easter tradition. My boys anxiously wait for me to tell each part of the story and then take turns opening the eggs. Even though we have done this for many years and they know what is in each egg, they still cannot wait to open them! I have used my purchased set of eggs for about 10 years for teaching my children, my students in a private school and in my Sunday School class, and at church Easter parties. My son just found the Resurrection Eggs today when we were unpacking the Easter decorations and he asked if he could take them outside to share the Easter story with the neighborhood kids. What an awesome feeling it is to have your child so excited to share the Easter story with others! Resurrection Eggs are definitely a FUN and engaging teaching tool. 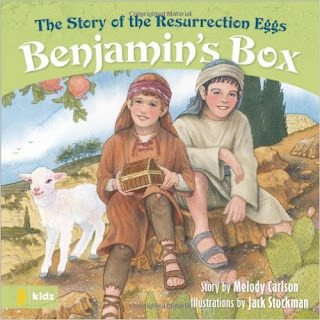 Benjamin's Box: The Story of the Resurrection Eggs is highly recommended to compliment your Resurrection Eggs. It is nicely illustrated and each page tells a story to match the items in the eggs. Children also enjoy hearing the story a little boy's point of view. Teachingheart.net has created a printable to go along with this activity. The printable has an egg to open and a part of the story and a symbol from the egg to glue inside. How cute is that! CLICK HERE for the activity. EXTRA IDEAS: Some parents and teachers hide the eggs before they read the story and open them. Others have a child open one or two eggs per day as a count down until Easter instead of opening them the same day. What creative ideas! If you want to make your own, Tony Kummer explains how to make your own set of Resurrection Eggs in this video tutorial. CLICK HERE for the printable pattern and directions. Be sure to check out her site at www.ministry-to-children.com. 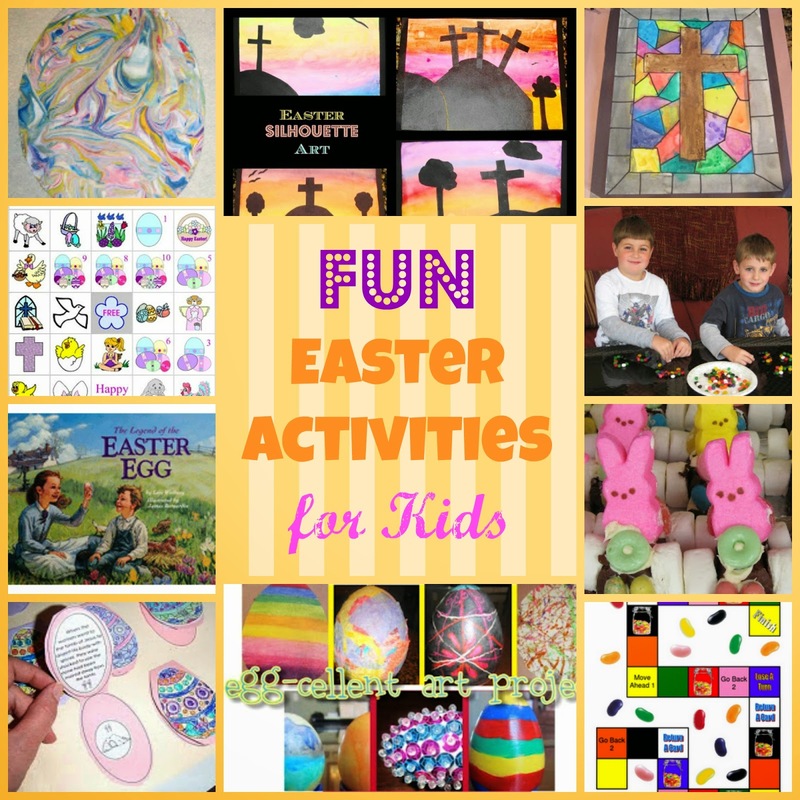 It is filled with tons of Bible games, activities, lesson, and crafts.